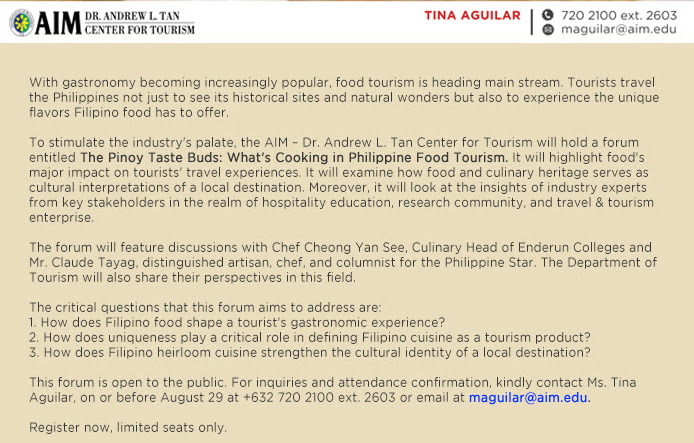 Girl Kuripot Girl Kuripot: What's Cooking in Philippine Food Tourism - Find Out at The Pinoy Taste Buds Forum Happening this September! 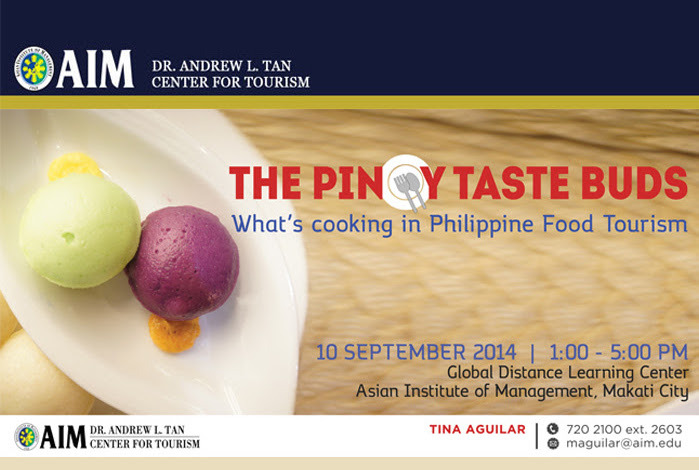 What's Cooking in Philippine Food Tourism - Find Out at The Pinoy Taste Buds Forum Happening this September! I'm so excited to share with you once again another forum conducted by the AIM (Asian Institute of Management) Dr. Andrew L. Tan Center for Tourism =) I attended the last one on Nurturing Cultural Heritage in the Philippines and learned lots of things including a reintroduction and a newly found appreciation for Vigan. This next free forum is for foodies this time around. Entrance is FREE. Registration required until August 29, 2014.